Lots of people seem to say that cruising is a bit like marmite; you either love it or hate it. Well, I’d like to disagree. What about the people like me, who just aren’t quite sure? I have never been on a cruise, but I have always been intrigued by the concept. The thought of waking up in a new destination every morning sounds nothing short of magical, especially when you’d be waking up in the same bed (ummm bliss!) I also love being surrounded by ocean. But there are other elements of cruising that I am not so sure about. 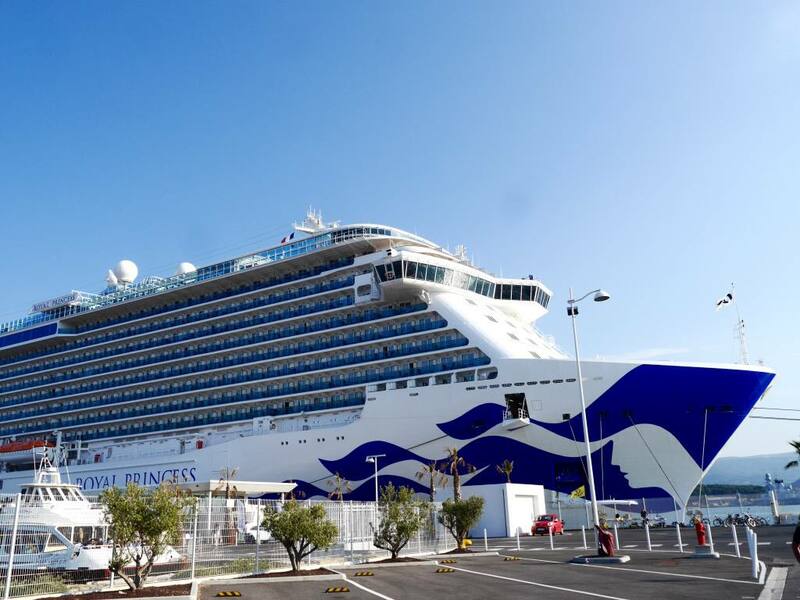 I suppose you could say I had lots of questions about cruising, so when I was invited to travel to the French Riviera to step aboard Royal Princess with Princess Cruises, it was the perfect opportunity to get some answers. 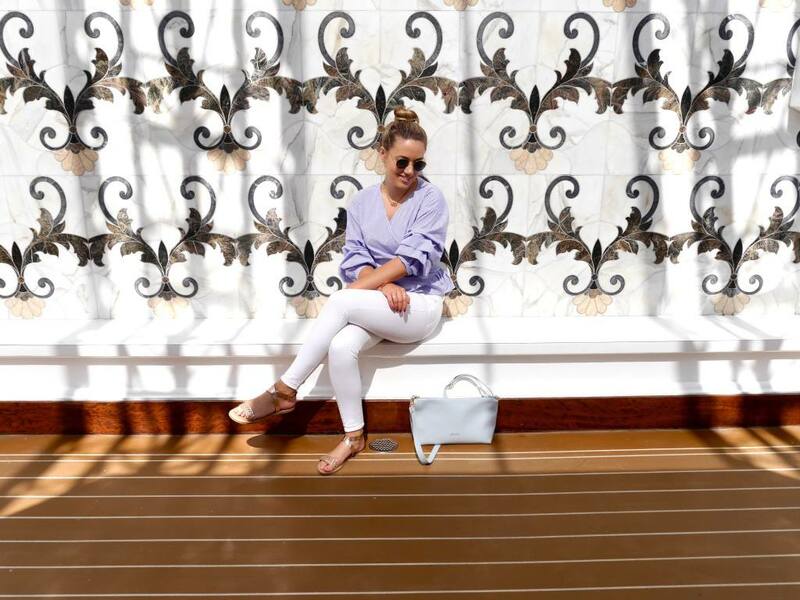 The whirlwind trip lasted just 26 hours, but it was enough to get a taste of cruise life and soak up some rays in the South of France. 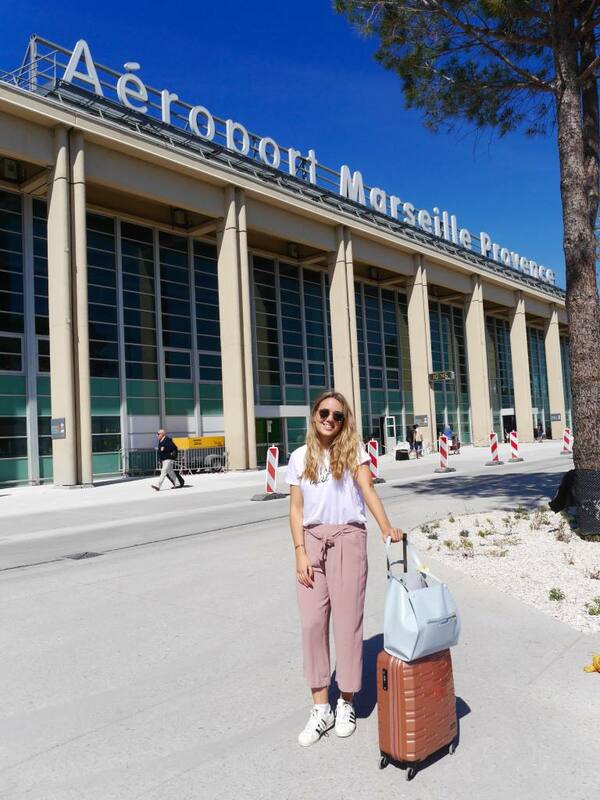 Our 26 hours in France began in Marseille. 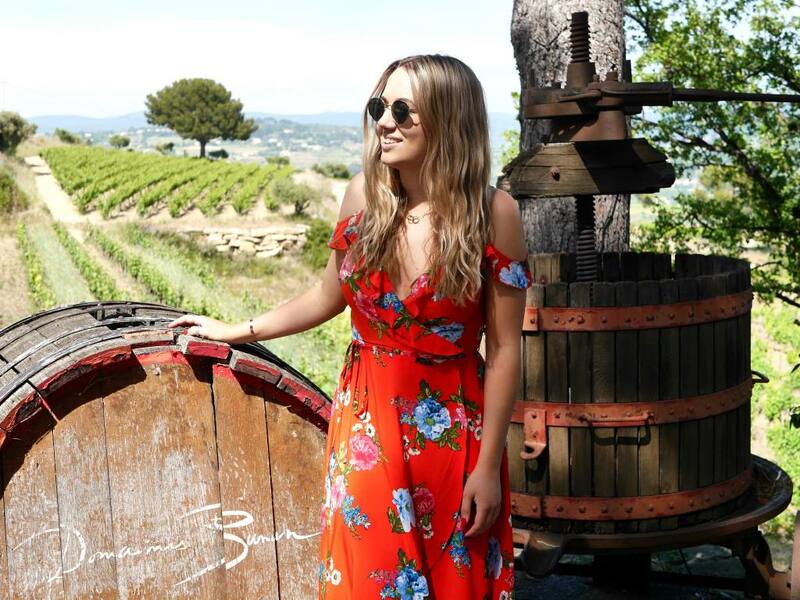 No sooner had we landed at Marseille Airport, we were whisked off to the nearby wine region of Bandol for a Princess Cruises land excursion with Bandol Wine Tours. 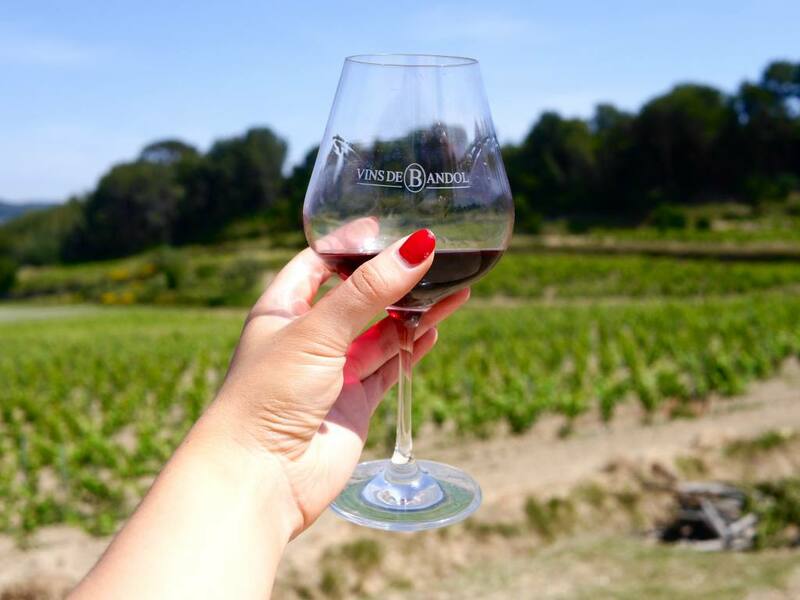 This was to give us an idea of the kind of local experiences you can do on land with Princess Cruises (I’ll be covering my wine tour in a separate post). After sampling some of the most delicious rose I have ever tasted, we spent the night in the pretty town of Toulon, ready to board Royal Princess the next morning in Toulon Port. 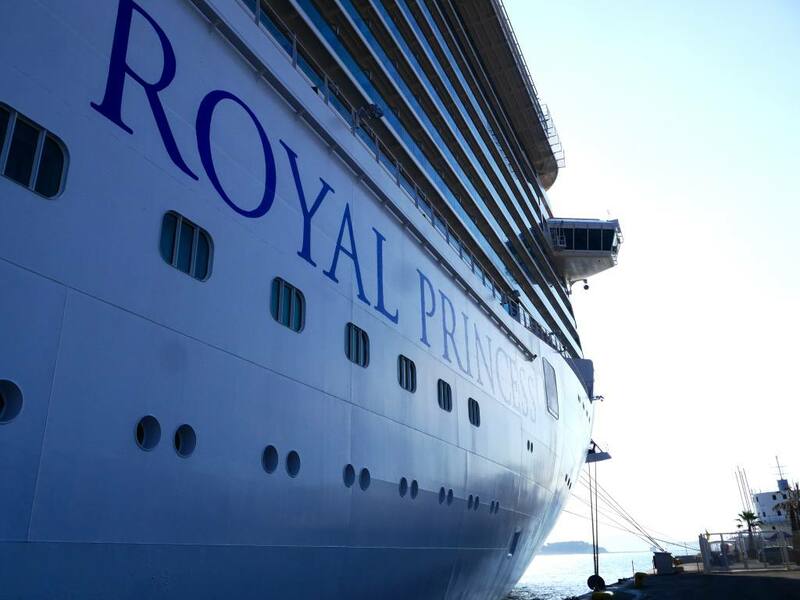 As we approached Royal Princess, the first thing that struck me was the sheer size of her. I was told she can accommodate 3,560 guests and weighs 142,229 tonnes. She’s taller than London’s Tower Bridge and longer than the height of the Eiffel Tower. The fact that something so vast can float on water still boggles my mind. But set against a mountainous backdrop and bright blue skies, she looked nothing short of spectacular. Actually getting on to the Royal Princess was somewhat of rigmarole. It’s a similar process to going through security at an airport. Your bags are scanned, as are you. As we were day guests, we also had to hand our passports over before stepping aboard. This is the security process for guests getting off and on the ship every day. It seems quite a hassle, but I can appreciate that it’s totally necessary for the safety and security of the guests. 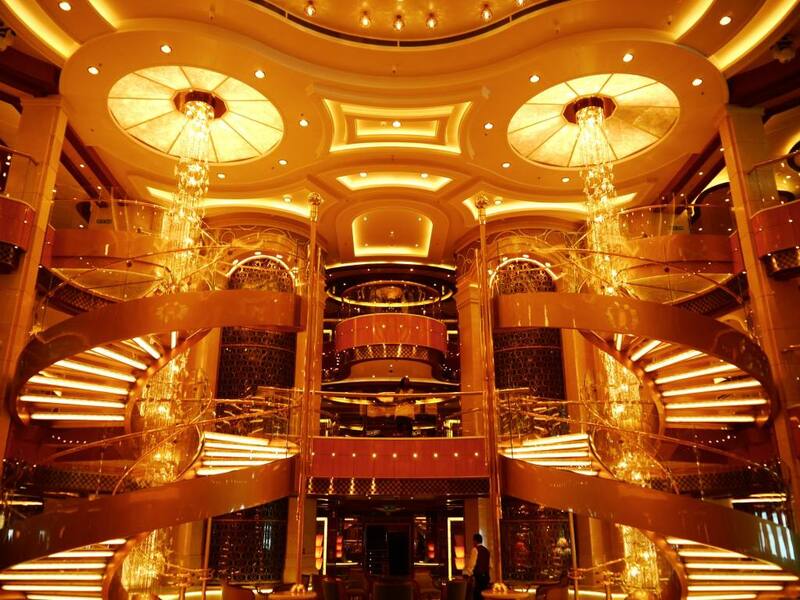 The central Atrium (also known as the Piazza) is the heart and the hub of the ship. This is where were began our day experience. With marble floors, a grand piano and two gold spiral staircases, the interior of The Piazza feels incredibly salubrious. Within the Piazza there was a handful of different bars and cafes, including a retro-style gelato shop. 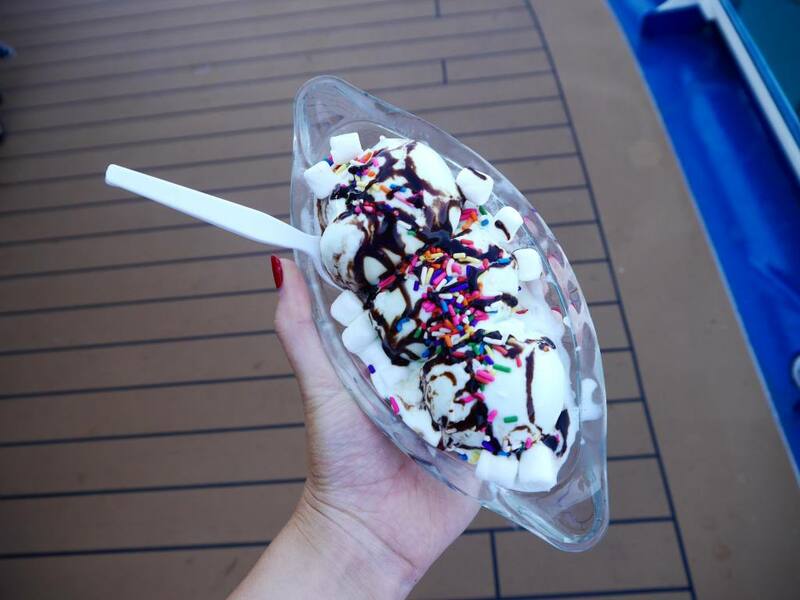 We got to design our own ice cream sundaes for an indulgent mid-morning snack which was unexpected and so much fun! The Royal Princess was actually named by Her Royal Highness The Duchess of Cambridge in a ceremony in Southampton back in 2013. I loved seeing the dress Kate wore during the ceremony on display in the ship’s central Atrium. It’s something that the ship is clearly very proud of, and rightly so! 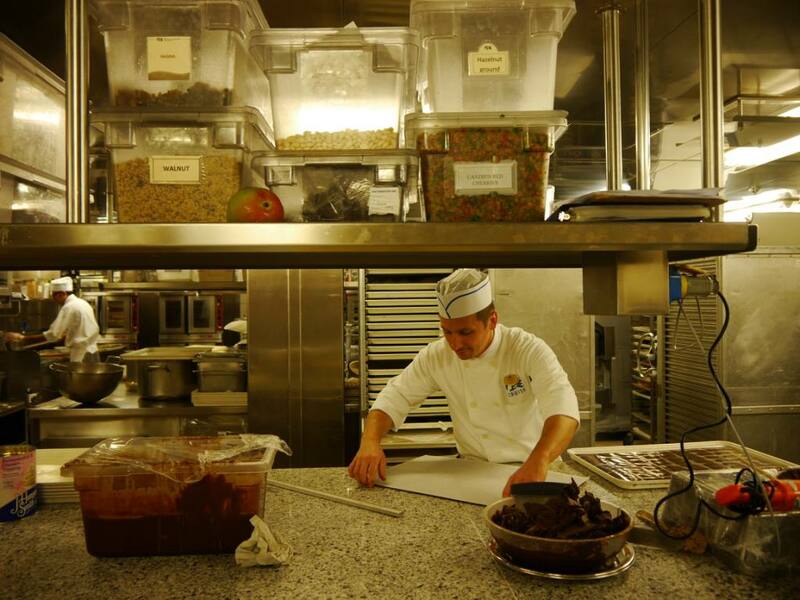 The most unique part of our time aboard Royal Princess was the galley tour. We got to step behind-the-scenes and see parts of the ship that the guests never get to see. 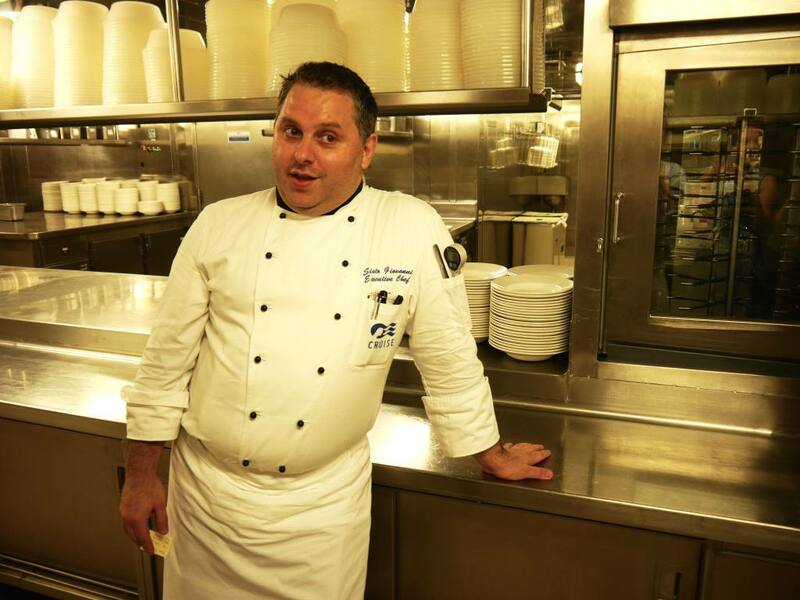 Our tour was lead by Giovanni Sisto, the Executive Head Chef of Royal Princess. Giovanni showed us the different parts of the galley that helped to cater for all those 3,560 guests. The word galley makes it sound small, but it was more like a colossal catering powerhouse. There were dedicated preparation rooms for meat, seafood, vegetables, bread and pastry. 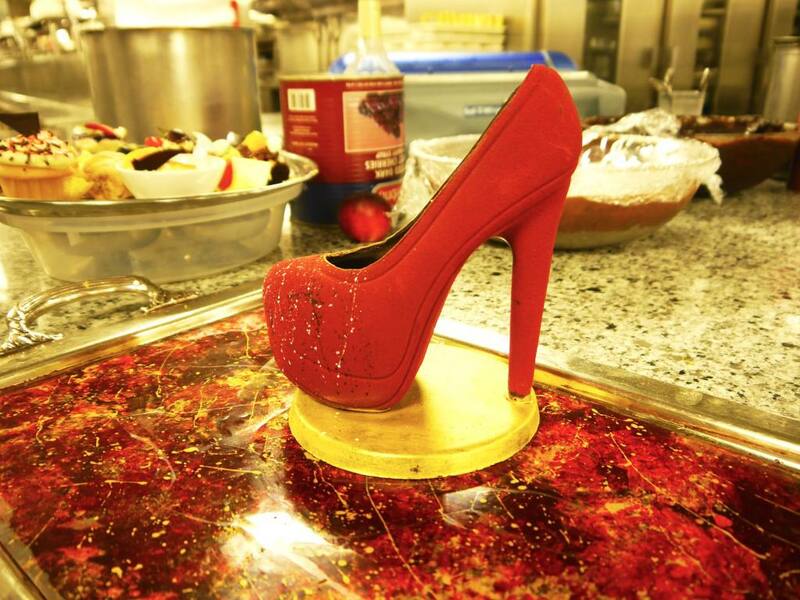 We even saw a chocolatier hard at work sculpting an intricate chocolaty creation. Giovanni explained that everything is made fresh on board and they stock up with local fresh produce from the different ports they stop in. I couldn’t get my head around the fact that 1,500 pounds of flour is used each day to create the ship’s freshly baked bread, pasta and pastry and 250,000 eggs are used each week! It was fascinating to see the galley crew at work and to get a glimpse of what it would be like to work on a cruise ship. My favourite part of the ship was The Sanctuary, a private, stylish and adult-only relaxation area at the front of the ship. There were luxurious sun-loungers and private cabanas, which could be rented for the day. We only had a brief look around, but I think it’s definitely where I would spend my time if I were on a Royal Princess cruise. 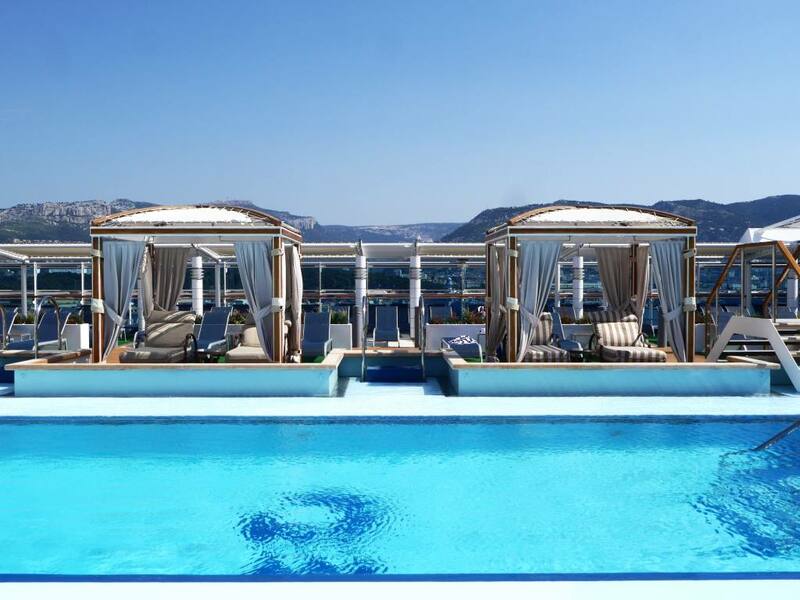 The Sanctuary is connected to the adult-only pool area, which is equally as chic. After seeing the food preparation and the chefs hard at work, it was time to actually sample the fruits of their labour. 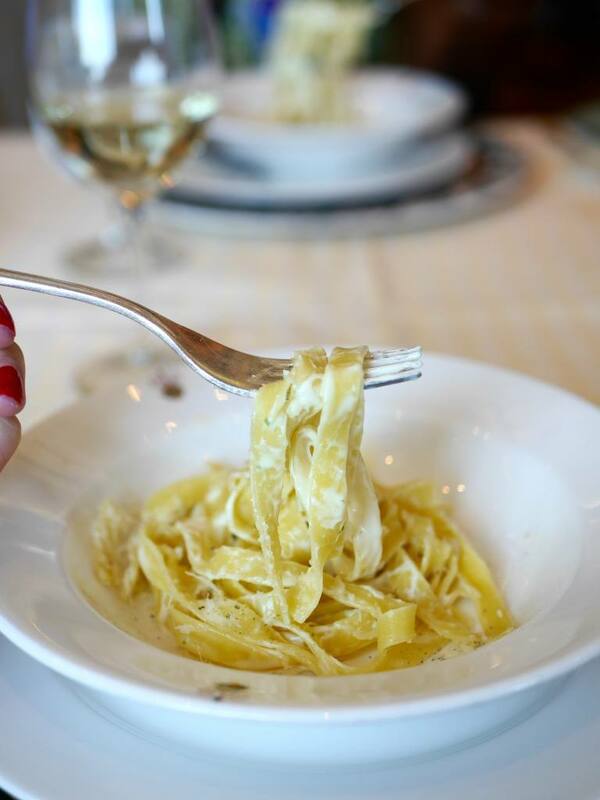 We stopped for lunch in Sabatini’s, The Royal Princess’ signature Tuscan-inspired speciality restaurant. The restaurant is known for its pastas, seafood and Italian specialities, which is right up my street! I opted for the restaurant’s signature tagliatelle, followed by a delicious piece of steak. Dessert was a melt-in-the-mouth chocolate soufflé, which perfectly rounded off the indulgent fine-dining experience. One thing that originally put me off a cruise was the assumption I would have to eat buffet or average quality food for the entire trip. It turns out I couldn’t have been more wrong to assume this as Royal Princess has 6 a la carte restaurants which are available to all guests at no extra charge. 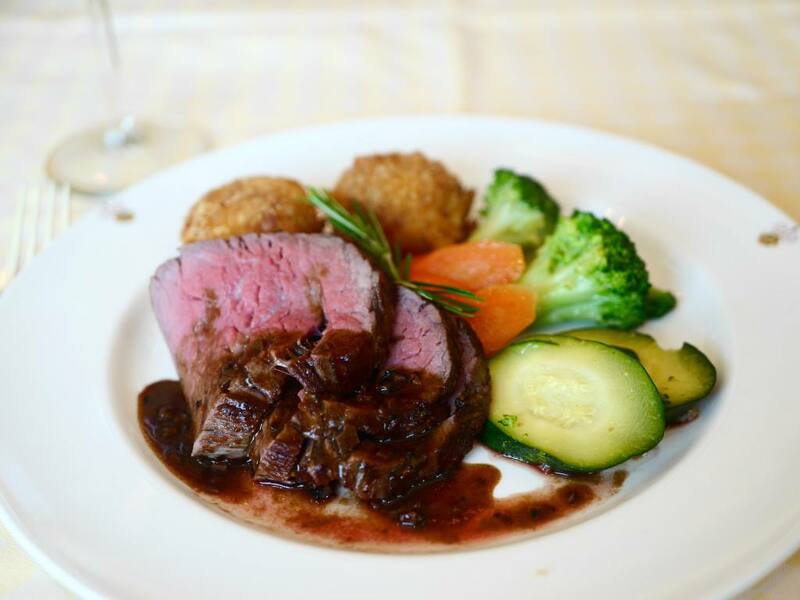 The food at Sabatini’s was exquisite and the surroundings were elegant. I would have been more than happy to dine there for two weeks straight. My day on Royal Princess was fascinating and gave me an incredible insight into the world of cruising. As a lover of travel with a passion for exploring, the main incentive to do a cruise for me would be getting to visit multiple destinations in one trip. Princess Cruises sail all over the world and I think a dream cruise for me would probably be to somewhere like Japan. In a destination that is very unfamiliar to me, I would love the convenience and peace of mind that a cruise could bring. 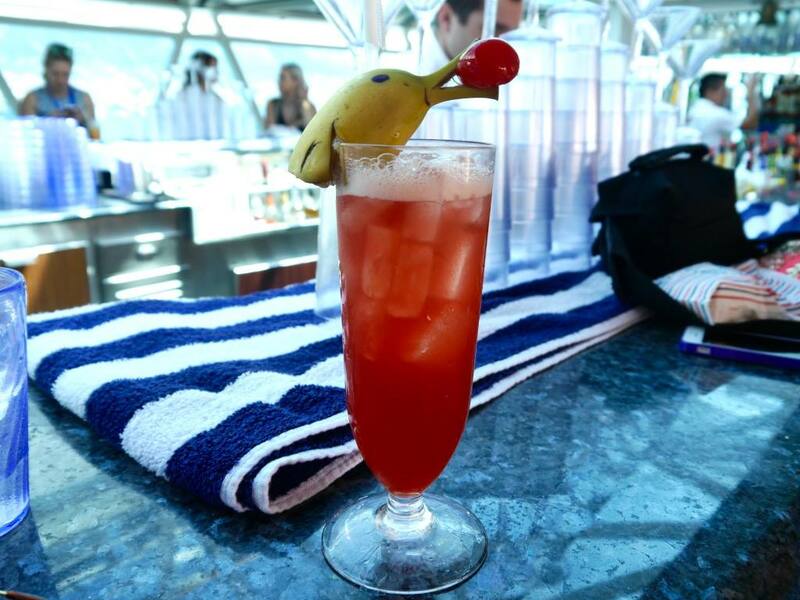 However, one thing that cruising lacks is the opportunity for spontaneity. 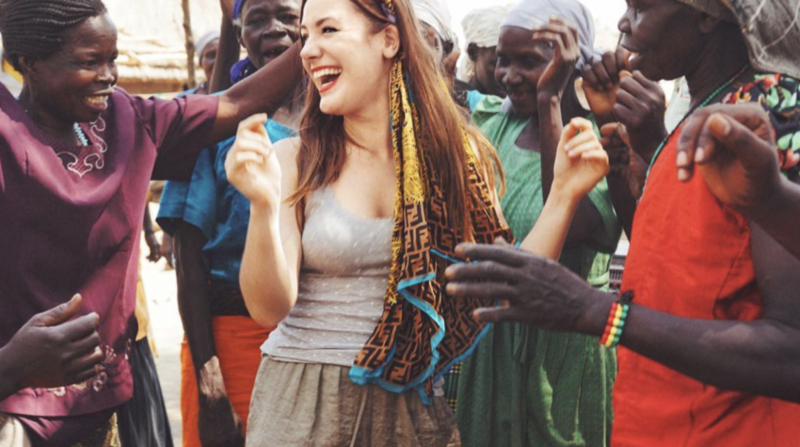 I am used to being an independent traveller and love exploring at my own pace. I adore stumbling across quaint little restaurants and loosing track of time getting lost in a new destination. 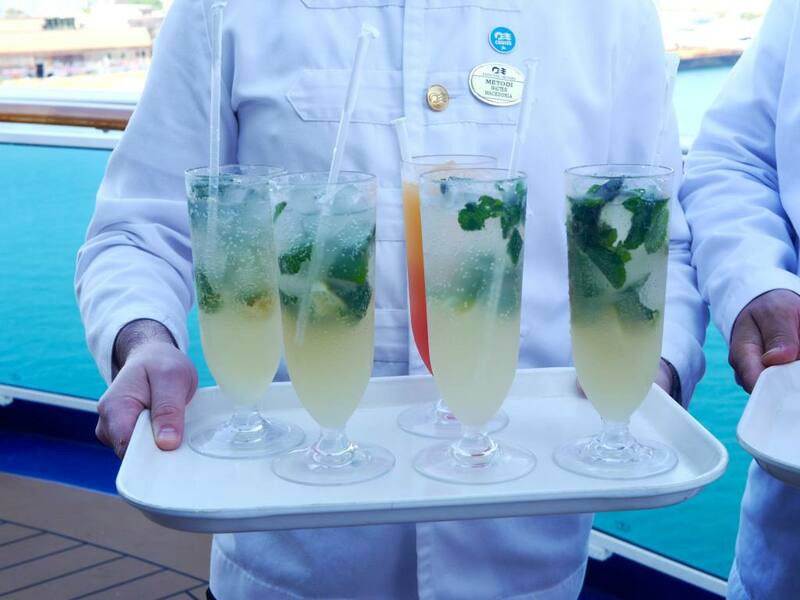 With cruising, everything is much more mapped out. You have to be willing to stick to more of a tight schedule and be part of a big crowd. I think this is both a pro and a con depending on how you like to travel. As for the ship itself, I couldn’t really fault it. 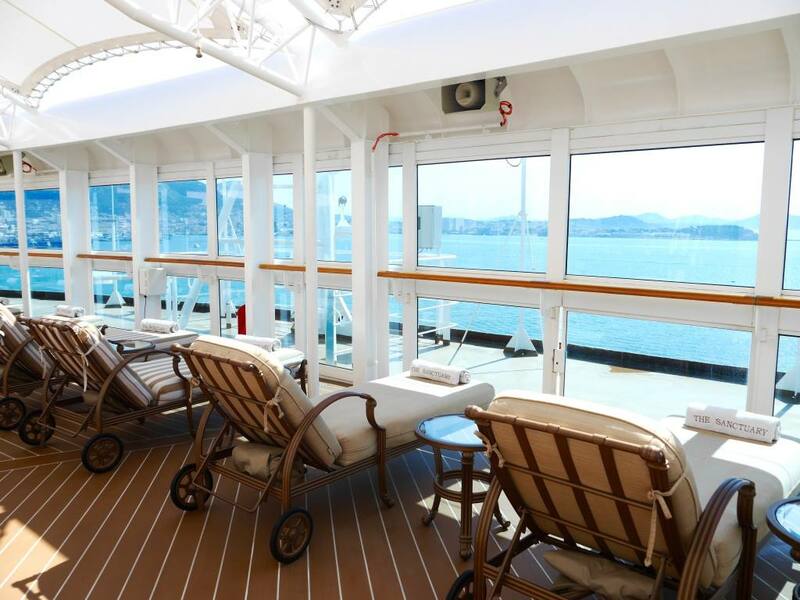 It felt luxurious and the amount of amenities and things to do on-board was endless. The staff were energetic, friendly and really seemed to love what they do. I definitely noticed that the guests were still of an older demographic, which is a bit of a cruising cliché. But why let that stop you? Whilst I don’t think a European cruise would be for me, I am a firm believer of trying everything once. After my experience on board Royal Princess and Princess Cruises, I would absolutely love to do an adventurous cruise to an exotic destination. What do you think of the concept of cruising? Have you ever done a cruise yourself? 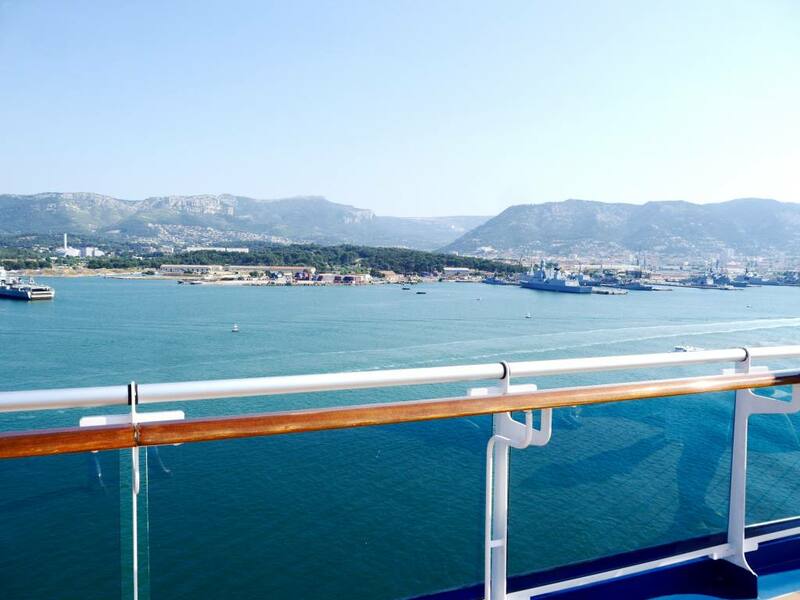 Where would you pick to go on a cruise? If you enjoyed this post, please leave me a comment in the box below. 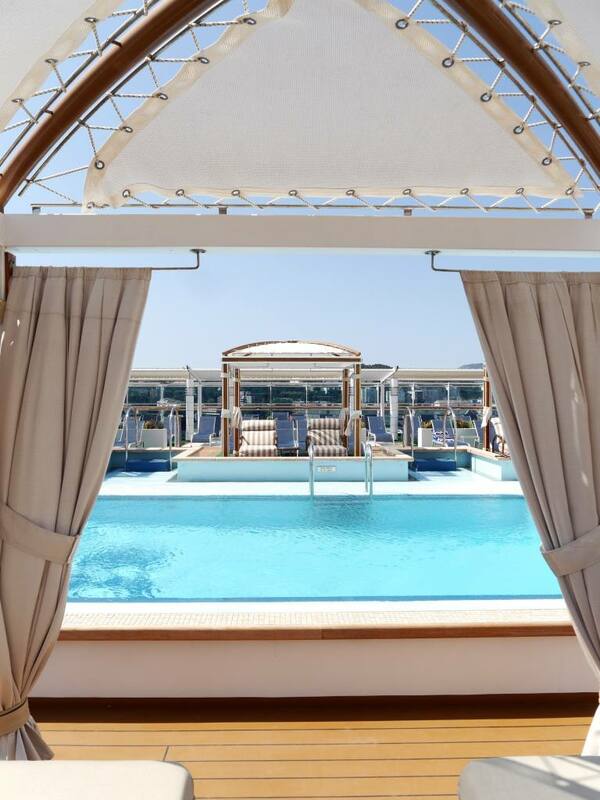 A 7 night Mediterranean cruise on Royal Princess starts from £760 per person based on two people sharing an inside stateroom. Sailing 12th August 2017. My trip to France was complimentary as part of a 1 night press trip with Princess Cruises. All photos and views are my own. Great to see such beautiful photos of our region! You should visit Monaco on a real tall ship! There are several of them each year :). That ship looks incredible! I’ve always wanted to go on a cruise, but I never know which ships are considered best! I’d never been too sure about cruises – I’ve always associated them with rich old people. However I’ve seen quite a few routes I like the look of recently, and both yours and the Twins That Travel’s posts have convinced me it is something I would enjoy. Think I should at least try one to find out! You and I are very similar travellers! We feel exactly the same as you. We’d like to do a cruise – but at the same time, the amount of time we’d need for one to be worthwhile is very risky when we might not like it at all. And unlike normal travel plans, if we don’t like it, we’re kinda stuck! Next year is looking likely for us to try our first one though. I’ve been on lots of cruises as my parents used to take me and my sister when we were younger. I agree that it’s a good way of seeing lots of places! Nowadays I prefer seeing one place more in depth but I’d definitely consider going again when I’m older. Great insight, the food is superb isn’t it! One thing I love about cruising (that’s already been mentioned in previous comments) is discovering new places that inspire a longer trip. 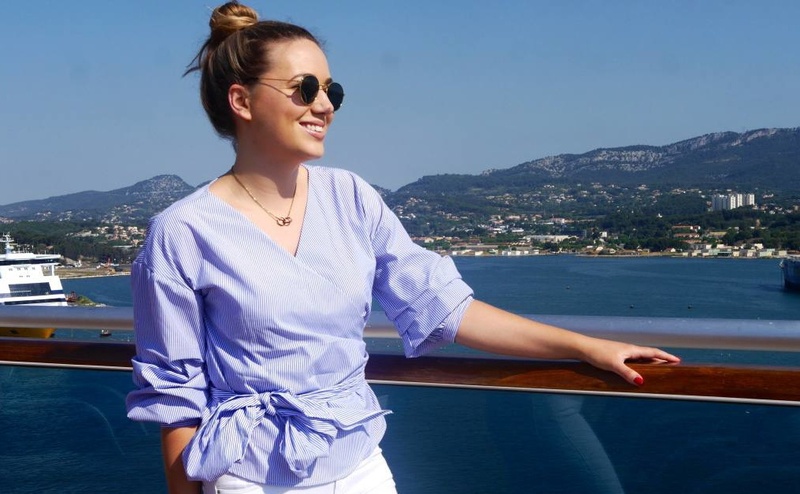 I love cruises so much – one of my favourite holidays was on a 9 night cruise around Turkey, Greece and Italy 2 years ago, and I’ve been dying to book another one since! I loved that it let me explore places that I might not necessarily want to spend a few days in, but also I got to see places that I’d love to go back to one day and see more of, like Mykonos and Santorini. I’ve never been on a Princess Cruise before, but they are definitely one that I want to try out. Their trips always look so interesting. 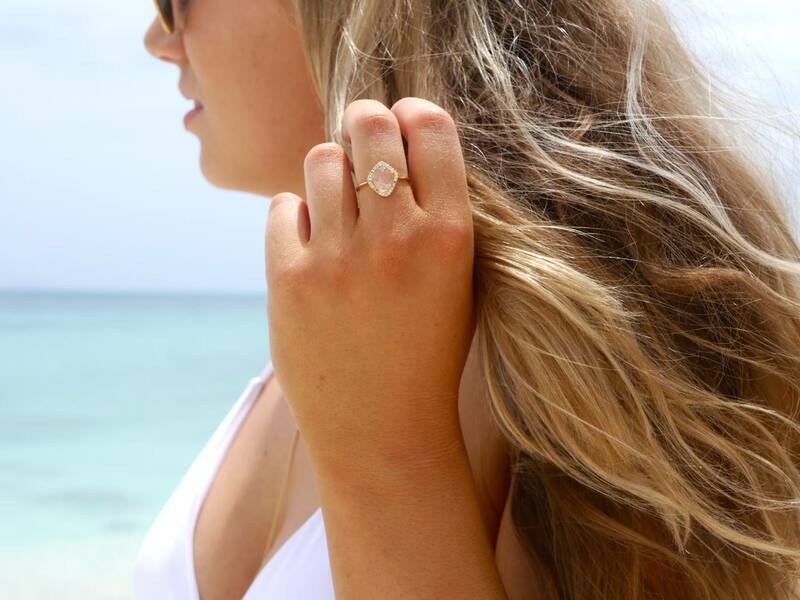 I think doing a Caribbean one would be amazing, as you get to see little bits of each island or South East Asia – I’m not sure I’d cope well on my own there, so I like that you can book on the guided tours hah! I’ve done 12 cruises, I actually got back from one yesterday. I find they help to get a taste for a destination as on my recent cruise I went to Mykonos which has made me want to go back for a longer period. I’ve cruised with Thomson, Royal Caribbean and NCL, I would say Royal Caribbean are my favourite. Thanks for the insight for princess! I love cruising and also land travels too. Never sailed princess yet, but now will have to give them a try. I personally like celebrity. Just came offa 12 night South Pacific cruise, with every perk and amenity you can imagine. Here is a view of the penthouse Suite we stayed in!